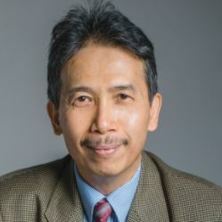 Professor Anh Nguyen is the BMA (BHP Billiton Mitsubishi Alliance) Chair within the School of Chemical Engineering. He previously held academic positions at the University of Newcastle (Australia), the University of Utah (USA) and the Technical University of Kosice (Czechoslovakia). He was awarded an ARC (Australian Research Council) Queen Elizabeth II Fellowship and an Alexander von Humboldt Fellowship (Germany). His relevant publications include a research book on the colloidal science of flotation, 3 edited volumes, 16 book chapters (invited) and over 175 papers in refereed journals. He has editorial role on Advances in Colloid and Interface Science, and International Journal of Mineral Processing. He is an Elected Fellow of IChemE and AusIMM. Professor Nguyen’s research interests embrace various aspects of colloid and interfacial science and engineering. The focus of his current research is on colloid and interface science of particles, bubbles and drops in surfactant solutions and saline water. The ultimate applications include coal and minerals processing, saline water usage and treatment, foliar fertilisers, smart self-cleaning materials, hydrophobic hydration and hydrates of natural gas, and particle separation. His research funding has come from industry partners (BMA, BHP Billiton, Xstrata, Rio Tinto, OneSteel, Agrichem) and agencies (ARC and ACARP). He is the Leader of the Mineral Processing and Interfacial Processes group. Professor Nguyen aims to encourage critical thinking, understanding and application of fundamental principles. The objective is to engage students by providing a stimulating learning process and environment at both undergraduate and postgraduate levels, relevant to the changing focus of national and global economic importance. He has taught a number of courses, including colloid and surface chemistry, particle processing and technology, unit operation, coal and mineral processing, flotation, computing and design laboratory, process modelling and simulation. He is currently an academic and international advisor for chemical and metallurgical engineering. Saline Water: molecular phenomena and engineering of saline water-air interfaces, water desalination, salt flotation, coal flotation in sea water and tailings processing. Foliar Fertilizers and Pesticides: self-assembly of colloids from evaporating droplets on leaf surfaces. Gas Hydrates: role of hydrophobic hydration and additives in gas hydrate formation for storage and transportation. Hydrometallurgy: role of colloidal forces and surface chemistry in bacteria attachment in bioleaching, and leaching of minerals in brine solutions. Mineral Processing: role of microhydrodynamics and colloidal forces in bubble-particle collection in flotation, surface electrochemistry of sulfide flotation, flotation of ultrafine particles, flotation of coarse particles and composite particles. Foam and Froth: drainage and stability of thin films of saline water, role of particle shape and hydrophobicity in foam drainage and stability, foamed cements. Molecular (MC and MD) modeling and validation by VSFG spectroscopy of the partition of salt ions and surfactants at the interfaces of liquid films relevant to flotation, bubble columns and oil processing. Projects in the areas of atomic force microscopy, molecular modelling, colloid and surface chemistry, foam and liquid films, flotation, coal and mineral processing, foliar fertilisers, saline water, and drinking water treatment for Master and PhD studies are available to highly skilled and motivated students from Australia and overseas (Chemical Engineering, Materials Engineering, Mechanical Engineering, Mechatronic Engineering, Minerals Engineering). Please contact Prof Anh Nguyen at anh.nguyen@eng.uq.edu.au for more details. Nguyen, Anh V. and Firouzi, Mahshid (2013). Collision and attachment interactions of single air bubbles with flat surfaces in aqueous solutions. In M. Ferrari, L. Liggerie and R. Miller (Ed. ), Drops and bubbles in contact with solid surfaces (pp. 211-240) Boca Raton, FL, U.S.A.: CRC Press. Nguyen, Anh V., Tran, Linh T. T. and Miller, Jan D. (2012). Particle-particle interaction. In Sungyu Lee and Kimberly H. Henthorn (Ed. ), Particle technology and applications (pp. 31-50) Hoboken, NJ, U.S.A.: CRC Press. Taran, Elena and Nguyen, Anh V. (2012). Surface deformation during bubble-particle colloidal interaction quantified by atomic force microscopy and numerical modeling. In Courtney A. Young and Gerald H. Luttrell (Ed. ), Separation technologies for minerals, coal, and earth resources (pp. 19-26) Littleton, CO, USA: Society for Mining, Metallurgy, and Exploration (SME). Nguyen, Anh V. (2011). Particle-bubble interaction in flotation. In R. Miller and L. Liggieri (Ed. ), Bubble and drop interfaces (pp. 351-383) Leiden, Netherlands: Brill. Nguyen, Anh V. (2011). Particle-bubble interaction in flotation. In Bubble and Drop Interfaces (pp. 351-384) : CRC Press. Jameson, Graeme J., Nguyen, Anh V. and Ata, Seher (2007). The flotation of fine and coarse particles. In Maurice C. Fuerstenau, Graeme J. Jameson and Roe-Hoan Yoon (Ed. ), Froth flotation : a century of innovation (pp. 339-372) Littleton, CO: Society for Mining, Metallurgy & Exploration. Nguyen, Anh V., Pugh, R.J. and Jameson, G.J. (2006). Collection and attachment of particles by air bubbles in froth flotation. In Bernard P. Binks and Tommy S. Horozov (Ed. ), Colloidal particles at liquid interfaces (pp. 328-382) Cambridge, UK: Cambridge University Press. Nguyen, Anh V., Tran, T.T. Tran and Miller, Jan D. (2006). Particle–particle interaction: Improvements in the prediction of DLVO forces. In Sunggyu Lee (Ed. ), Encyclopedia of Chemical Processing (pp. 2017-2029) New York, U. S. A.: Taylor & Francis. Nguyen, A. V., Evans, G. M. and Jameson, G. J. (2002). Approximate calculations of electrical double-layer interaction between spheres. In Arthur T. Hubbard (Ed. ), Encyclopedia of Surface and Colloid Science (pp. 630-641) New York, United States: Marcel Dekker Incorporated. Nguyen, A. V. and Stechemesser, H. (1998). Dynamics of the impact interaction between a fine solid sphere and a plane gas-liquid interface. In D. Mobius and Reinhard Miller (Ed. ), Drops and bubbles in interfacial research (pp. 525-562) Amstedam, The Netherlands: Elseiver. A sum-frequency generation spectroscopic study of the Gibbs analysis paradox: monolayer or sub-monolayer adsorption? How does the Gibbs inequality condition affect the stability and detachment of floating spheres from the free surface of water? Transient volume of evaporating sessile droplets: 2/3, 1/1, or another power law? Nguyen, Anson and Van Nguyen, Anh (2014) Eccrine porocarcinoma: A report of 2 cases and review of the literature. Cutis, 93 1: 43-46. Column bioleaching of low-grade copper ore by Acidithiobacillus ferrooxidans in pure and mixed cultures with a heterotrophic acidophile Acidiphilium sp. Nguyen, Anh V, Nguyen, Lien B, Su, Steven and Nguyen, Hung T (2012) Development of a Bayesian neural network to perform obstacle avoidance for an intelligent wheelchair. Conference proceedings : ... Annual International Conference of the IEEE Engineering in Medicine and Biology Society. IEEE Engineering in Medicine and Biology Society. Conference, 1884-1887. Nguyen, Anh V, Su, Steven and Nguyen, Hung T (2011) Development of a Bayesian recursive algorithm to find free-spaces for an intelligent wheelchair. Conference proceedings : ... Annual International Conference of the IEEE Engineering in Medicine and Biology Society. IEEE Engineering in Medicine and Biology Society. Conference, 7250-7253. Danoucaras, A., Vianna, S. and Nguyen, A. (2010) A modelling approach using a backcalculated induction time to predict recoveries in Flotation. XXV International Mineral Processing Congress 2010, IMPC 2010, 3 1827-1836. Albijanic, B., Hampton, M., Nguyen, P., Ozdemir, O., Bradshaw, D. and Nguyen, A. (2010) An integrated study of bubble-particle attachment mechanisms. XXV International Mineral Processing Congress 2010, IMPC 2010, 3 1703-1709. Drainage, rupture, and lifetime of deionized water films: Effect of dissolved gases? Do Liquid Films Rupture due to the So-Called Hydrophobic Force or Migration of Dissolved Gases? Fabien, R., Robertson, M. and Nguyen, A. (2007) Study on parameters influencing the corrosion of metallic coatings on wire exposed to marine environments. Wire Journal International, 40 7: 94-98. Nguyen, Anh V. (2005) Imaging structures and measuring forces at nanoscales with atomic force microscopy. Acta Montanistica Slovaca, 10 SI 1: 12-16. Forrester, S.F., Nguyen, A.V., Evans, G.M. and Machniewski, P.M. (2004) Compressible flow analysis: discharging vessels. Chemical Engineering Education, 38 3: 190-195. Atkinson, BW, Jameson, GJ, Nguyen, AV, Evans, GM and Machniewski, PM (2003) Bubble breakup and coalescence in a plunging liquid jet bubble column. Canadian Journal of Chemical Engineering, 81 3-4: 519-527. Stechemesser, H., Nguyen, A. V. and Partzscht, H. (1998) Induktionszeit bei der Teilchen/Gasblase-Wechselwirkung: Theorie und Experiment (Induction time of the particle-bubble interaction: theory and experiment). Freiberger Forschungshefte, A841 177-190. Mitra, S., Evans, G. M. and Nguyen, A. V. (2019). On bubble-particle detachment mechanisms in coarse particle flotation. In: IMPC 2018 - 29th International Mineral Processing Congress. 29th International Mineral Processing Congress, IMPC 2018, Moscow, , (1516-1524). September 17, 2018-September 21, 2018. Han, Haisheng, Sun, Wei, Hu, Yuehua, Nguyen, Anh V., Li, Xiaodong, Chen, Kefeng, Tang, Honghu, Wang, Jianjun, Wei, Zhao and Wang, Ruolin (2019). Replacing Petrov's process with atmospheric flotation using Pb-BHA complexes for separating scheelite from fluorite. In: IMPC 2018 - 29th International Mineral Processing Congress. 29th International Mineral Processing Congress, IMPC 2018, Moscow,, (3866-3880). September 17, 2018-September 21, 2018. Huang, Wei and Nguyen, Anh V. (2016). Specific ion effects in NaCl-KCl flotation with carboxylates. In: 28th International Mineral Processing Congress (IMPC 2016). IMPC 2016 - 28th International Mineral Processing Congress, Quebec City, Canada, (). 11-15 September 2016. Thella, John, Farrokhpay, Saeed and Nguyen, Anh V. (2015). The influence of water quality on sulfide mineral flotation – a review. In: Asia Pacific Confederation of Chemical Engineering Congress 2015: APCChE 2015, incorporating CHEMECA 2015. APCChE 2015 Congress incorporating Chemeca 2015, Melbourne, VIC, Australia, (2405-2408). 27 September - 1 October 2015. Nguyen, Anh V., Plackowski, Chris and Bruckard, Warren J. (2014). Surface species, roughness and hydrophobicity of enargite under electrochemically-controlled oxidation. In: Juan Yianatos, Proceedings of the XXVII International Mineral Processing Congress: IMPC 2014. IMPC 2014: XXVII International Mineral Processing Congress, Santiago, Chile, (96-105). 20-24 October 2014. Firouzi, Mahshid and Nguyen, Anh V. (2013). Different Effects of Monovalent Anions and Cations on the Bubble Coalescence and Lifetime of Aqueous Films between Air Bubbles. In: Chemeca 2013 : challenging tomorrow. CHEMECA, Brisbane, QLD Australia, (). 29 September - 2 October 2013. Hampton, M. A., Plackowski, C., Bruckard, W. J. and Nguyen, A. V. (2012). In-situ investigation of sulphide mineral surface oxidation under controlled potential by combined atomic force microscopy and cyclic voltammetry. In: XXVI International Mineral Processing Congress - IMPC 2012: Conference Proceedings. XXVI International Mineral Processing Congress - IMPC 2012, New Delhi, India, (1882-1890). 24-29 September 2012. Hampton, M. A., Plackowski, C. and Nguyen, A.V. (2011). Nucleation, growth and overlap of nanoscopic sulfur domains during galena oxidation. In: Chemeca 2011 Proceedings. Chemeca 2011: Australasian Conference on Chemical Engineering, Sydney, Australia, (1-10). 18-21 September 2011. Danoucaras, Natasha, Vianna, Sergio M.S. and Nguyen, Anh V. (2010). A modelling approach using a back-calculated induction time to predict recoveries in flotation. In: XXV International Mineral Processing Congress - IMPC 2010 'Smarter processing for the future. International Mineral Processing Congress 2010, Brisbane, Qld, Australia, (1827-1836). 6-10 September, 2010. Hampton, Marc, Plackowski, Chris and Nguyen, Anh (2010). An AFM and cyclic voltammetry study of sulphide mineral oxidation. In: Chemeca: Australasian Conference on Chemical Engeering (2010). 40th Annual Australasian Chemical and Process Engineering Conference, Adelaide, South Australia, (1-11). 26–29 September 2010. Albijanic, B., Hampton, Marc, Nguyen, Phung, Ozdemir, Orhan, Bradshaw, Dee J. and Nguyen, A. (2010). An integrated study of bubble-particle attachment mechanisms. In: XXV International Mineral Processing Congress - IMPC 2010: Smarter processing for the future. 25th International Mineral Processing Congress 2010 (IMPC 2010), Brisbane, Qld, Australia, (1703-1709). 6-10 September, 2010. Gupta, Vishal, Miller, Jan D. and Nguyen, Anh V. (2010). Further analysis of the rheological behavior of kaolinite suspensions. In: Marek Pawlik, Proceedings of 49th Annual Conference of Metallurgists (COM 2010). 49th Annual Conference of Metallurgists (COM 2010), Vancouver, BC, Canada, (1-10). 3-6 October 2010. Ozdemir, O., Nguyen, A., Miller, J., Du, H. and Celik, M. (2010). Significance of ion interactions in flotation in saline and brine solutions. In: XXV International Mineral Processing Congress - IMPC 2010 - Smarter Processing for the Future. XXV International Mineral Processing Congress - IMPC 2010, Brisbane, Qld, Australia, (2977-2987). 6-10 September, 2010. Can nanobubbles repel hydrophobic surfaces? Hampton, Marc, Nguyen, Anh and Ozdemir, Orhan (2009). Can nanobubbles repel hydrophobic surfaces?. In: Chemica 2009: 37th Australasian Chemical Engineering Conference, Perth, Australia, (). 27 - 30 September 2009. Kurniawan, A. U., Ozdemir, O., Nguyen, P. T. and Nguyen, A. V. (2009). Effect of water chemistry on froth stability and coal flotation. In: Thys Heyns, Chemeca 2009: Engineering our future. Chemeca 2009, Perth, Australia, (1-10). 27-30 September 2009. Baláž, P., Nguyen, A. V., Fabián, M., Cholujová, D., Pastorek, M. and Sedlák, J. (2009). Mechanical activation and anticancer effect of realgar As4S4 nanoparticles. In: Proceedings of 12th European Symposium on Comminution and Classification (ESCC2009). 12th European Symposium on Comminution and Classification, Espoo, Finland, (). 15 - 18 September 2009. Tran, H., Evans, G. M., Yan, Y. and Nguyen, A. V. (2009). Photocatalytic removal of Geosmin and MIB for drinking water treatment. In: M. Sievers, S.-U. Geissen, S. Schäfer, B. Kragert and M. Niedermeiser, CUTEC-Serial Publication: 5th International Conference/ 10th IOA-EA3G Berlin Conference on Oxidation Technologies for Water and Wastewater Treatment Executive Summaries. 5th International Conference on Oxidation Technologies for Water and Wastewater Treatment (AOP5) / 10th IOA-EA3G Berlin Conference, Berlin, Germany, (62-62). 30 March – 2 April 2009. Hampton, Marc, Ozdemir, Orhan and Nguyen, Anh (2009). The repulsive nanobubble bridging capillary force. In: T. Heyns, Chemeca 2009: Engineering our future. CHEMECA, Perth, Western Australia, (1-10). 27-30 September, 2009. Nguyen, P.T., Tran, H. N. and Nguyen, A.V. (2008). A unified analysis of particle capture by air bubble. In: Wang Dian Duo, Sun Chuan Yao, W. F. Liang, Z. L. Cheng and H.Long, Proceedings of the 24th International Mineral Processing Congress. XXIV International Mineral Processing Congress, Beijiing, China, (971-978). 24-28 September 2008. Assemi, S., Nguyen, A. V. and Miller, J. (2008). Direct measurement of particle-bubble interaction forces using atomic force microscopy. In: Proceedings of the SME Annual Meeting and Exhibit 2008 : New horizons--new challenges. 2008 SME Annual Meeting & Exhibit, Salt Lake City, UT, USA, (). 24-27 February, 2008. Tran, H., Evans, G.M., Yan, Y. and Nguyen, A. (2008). Photocatalytic degradation of geosmin and mib in an immobilised TI02 photorecator. In: Jameson, G., Chemeca 2008. Chemeca 2008, Newcastle, Australia, (1-12). 28 September - 1 October 2008. Hampton, Marc A . and Nguyen, Anh V. (2008). Preferential accumulation of dissolved gases at water-hydrophobic solid surfaces. In: Paul Massarotto, 2008 Asia Pacific Coalbed Methane Symposium Book of Abstracts. 2008 Asia Pacific Coalbed Methane Symposium, Brisbane, Australia, (). 22-24 September 2008. Fabien, R., Everingham, M., Haberecht, P. and Nguyen, A. V. (2007). Investigations into the corrosion of galvanized wire in immersed conditions. In: , , (537-546). .
Phan, C.M., Evans, G.M., Doroodchi, E., Nguyen, A. and Goodridge, R. (2007). Breakup of a rectangular laminar jet in immiscible liquid-liquid systems. In: Rhodes, M., Proceedings of Chemeca 2007. Chemeca 2007, Melbourne, Victoria, (1666-1672). 23-26 September 2007. Karakashev, S.I., Nguyen, A. and Evans, G.M. (2007). Effect of surfactant adsorption and surface properties on emulsion film drainage. In: Rhodes, M., Proceedings of Chemeca 2007. Chemeca 2007, Melbourne, Victoria, (2005-2012). 23-26 September 2007. Everingham, R.F., Haberecht, P. and Nguyen, A. (2007). Investigations into the corrosion of galvanized wire in immersed conditions. In: Corrosion Control 007. Corrosion Control 007, Sydney, Australia, (1-10). 25-28 November 2007. Phan, Chi, Nguyen, A. V. and Evans, G. M. (2007). Measurement and modelling of the dynamic adsorption of flotation collectors and frothers at the gas-liquid interface. In: Engineers Australia Staff, 32nd Australasian Chemical Engineering Conference (CHEMECA 2004). CHEMECA 2004: Sustainable processes, Sydney, Australia, (). 26-29 Sepember 2004. George, P., Nguyen, A. V. and Jameson, G. J. (2007). Modelling and validation of nanoparticle flotation. In: 32nd Australasian Chemical Engineering Conference (Chemeca 2004). CHEMECA 2004: Sustainable processes, Sydney, Australia, (x-x). 27 - 29 Sep 2004. Nguyen, A. V., Fa, K., McCann, G., Miller, J. D. and Evans, G. M. (2007). Thermal vibration of atomic force microscope cantilevers. In: 32nd Australasian Chemical Engineering Conference (Chemeca 2004). CHEMECA 2004: Sustainable processes, Sydney, Australia, (x-x). 27 - 29 Sep 2004. Mitchell, Timothy Kevin, Nguyen, Anh Van, Evans, Geoffrey Michael, Petrovic, E. and Mejak, J. (2007). Using electrophoretic light scattering to determine heterocoagulation relevant to flotation selectivity. In: 32nd Australasian Chemical Engineering Conference (Chemeca 2004). CHEMECA 2004: Sustainable processes, Sydney, Australia, (x-x). 27 - 29 Sep 2004. Mitchell, Timothy Kevin, Nguyen, Anh V., Evans, Geoffrey Michael, Tremain, Benjamin John, Thomsen, Lars and Dastoor, Paul Christopher (2006). Adsorption of mercaptan and thionocarbamate surfactants onto chalcopyrite minerals studied by X-ray photoelectron spectroscopy. In: 34th Annual Australasian Chemical and Process Engineering Conference, CHEMECA 2006. 34th Annual Australasian Chemical and Process Engineering Conference, CHEMECA 2006, Auckland, NZ, (). 17-20 September, 2006. Nguyen, A. V. (2006). Brownian fluctuation spectroscopy and atomic force microscopy. In: International Conference on Engineering Physics 2006, Hanoi, Vietnam, (). 9 – 13 October 2006. George, Peter F., Nguyen, Anh V. and Jameson, Graeme J. (2006). Computational modelling and validation of ultrafine particle flotation. In: P.J. Witt and M.P. Schwarz, Fifth Inter Conf CFD in Process Industries, Melbourne, Vic, Australia, (1-6). 13-15 December, 2006. Nguyen, C.M. and Nguyen, A. V. (2006). Computational validation and extension of the generalized Sutherland equation for bubble-particle encounter efficiency in flotation. In: Fifth International Conference on CFD in the Process Industries, Melbourne, Vic, Australia, (). 13-15 December, 2006. Karakashev, S. I. and Nguyen, A. V. (2006). Effect of hydrodynamics, interface capillarity and molecular kinetics on the wetting and de-wetting on wire surfaces. In: Faculty of Engineering, CHEMCA 2006 Knowledge and Innovation. CHEMECA 2006; The 34th Annual Australasian Chemical and Process Engineering Conference, Auckland, New Zealand, (). 17-20 September 2006. Nguyen, V, Karakashev, S.I. and Jameson, G.J. (2006). Effect of interfacial properties on water drainage and recovery in a froth column. In: G. Unal, N. Arcarkan, M. S. Celik, F. Arslan, G. Atesok, G. Guney, A. A. Sirkeci, A. E. Yuce and K. T. Perek, Proceedings of the XXIII International Mineral Processing Congress : 3-8 September 2006, Istanbul, Turkey. XXIII International Mineral Processing Congress, Istanbul, Turkey, (756-761). 3-8 September, 2006. Ozdemir, O., Nguyen, A. V., Nickolov, Zh. S., Celik, M. S. and Miller, J. D. (2006). Flotation Chemistry Considerations in the Development of Flotation Technology for the Trona Industry. In: XXIII International Mineral Processing Congress (IMPC 2006). XXIII International Mineral Processing Congress (IMPC 2006), Istanbul, Turkey, (911-916). 3 - 8 September, 2004. Hampton, M. and Nguyen, A. V. (2006). Nanobubbles of soluble gases accumulated at hydrophobic surfaces in aqueous solutions studied by atomic force microscopy. In: 34th Annual Australasian Chemical and Process Engineering Conference, CHEMECA 2006. 34th Annual Australasian Chemical and Process Engineering Conference, CHEMECA 2006, Auckland, New Zealand, (). 17-20 September 2006. Evans, G. M., Nguyen, A. V. and Nitsche, L. (2006). Novel wavelet-accelerated particle-based approach to describe droplet dynamics. In: Fluid Mixing VIII, London, U.K., (). 10-12 April 2006. Fabien, R., Robertson, M. and Nguyen, A. V. (2006). Study on parameters influencing the corrosion of metallic coatings on wire exposed to marine environments. In: WIREexpo 2006 : Where global wire and cable solutions unfold in a regional setting: Conference Proceedings. Wire & Cable Technical Symposium 2006, Boston, U.S., (). 20-24 May 2006. Nguyen, A. V., Phan, C. M. and Evans, G. M. (2005). Bubble size effect on the dynamic adsorption of frothers and collectors in flotation. In: , , (355-360). .
Alexandrova, L., Nguyen, A. V., Grigorov, L. and Jameson, G. J. (2005). Dewetting kinetics on silica substrates - three-phase contact expansion measurements for aqueous dodecylammonium chloride films. In: , , (397-402). .
Fa, K., Nguyen, A. V. and Miller, J. D. (2005). Interaction of calcium dioleate collector colloids with calcite and fluorite surfaces as revealed by AFM force measurements and molecular dynamics simulation. In: Centenary of Flotation Symposium - Proceedings. Centenary of Flotation Symposium, , , (425-432). June 6, 2005-June 9, 2005. Nitsche, Ludwig C., Nguyen, Anh and Evans, Geoffrey (2005). Secondary cohesion and chemical potential models for diffuse interfaces. In: , , (). .
Wang, X., Nguyen, A. V. and Miller, J. D. (2005). Attachment and spreading of insoluble hydroxamic acid/alcohol collectors at quartz and apatite surfaces. In: SME Annual Meeting, Salt Lake City, Utah, USA,, (). 28 February - 2 March, 2005. Alexandrova, L., Nguyen, A. V, Grigorov, L. and Jameson, G. J. (2005). Dewetting kinetics on silica substrates: three phase contact expansion measurements for aqueous dodecylamonium chloride films. In: Conference Proceedings: Centenary of Flotation 2005 Symposium. Centenary of Flotation 2005 Symposium, Brisbane, Australia, (CD ROM). 6 - 9 June, 2005. Nguyen, Anh V., Phan, Chi M., Evans, Geoffrey M. and Jameson, Graeme J. (2005). Dynamic adsorption of surfactants at the gas-liquid interface. In: C. A. Young, J. J. Kellar, M. L. Free, J. Drelich and R. P. King, Innovations in natural resource processing: Proceedings of the Jan. D. Miller Symposium. 2005 SME Annual Meeting, Salt Lake City, U.S., (87-98). 28 February - 2 March 2005. Keqing Fa, K., Nguyen, A. V., Nalaskowski, J. and Miller, J. D. (2005). Interaction forces of calcium dioleate collector colloids with calcite and fluorite surfaces. In: SME Annual Meeting, Salt Lake City, Utah USA, (). 28 February - 2 March, 2005. Nguyen, A. V. and Evans, G. M. (2005). Liquid and gas jets impinging on a moving wetted surface. In: Proceedings of the 4th International conference on Computational fluid dynamics in the oil and gas, metallurgical & process industries. CFD2005: 4th International Conference on Computational Fluid Dynamics in the Oil and Gas, Metallurgical & Process Industries, Trondheim, Norway, (). 6–8 June 2005. Nguyen, A. V. (2005). Seeing structures and measuring forces at nanoscales with atomic force microscopy. In: 12th Regional Symposium on Chemical Engineering (RSCE 2005), Hanoi, Vietnam, (). 30 November - 2 December 2005. Evans, G. M., Nguyen, A. V. and Machniewski, P. M. (2004). Applying drift-flux to predict the transition from bubbly to churn-turbulent flow in a plunging liquid jet bubble column. In: Zdeněk Bubník, Milan Houška and Pavel Kadlec, CHISA 2004: 16th international congress of chemical and process engineering. CHISA 2004: 16th International Congress Of Chemical And Process Engineering, Prague, Czech Republic, (). 22-26 August 2004. Khan, M., He, Q., Evans, G. M. and Nguyen, A. V. (2004). Dispersion of particles injected through an impinging vertical jet. In: CTAC 2004: 12th Biennial Computational Techniques and Applications Conference, Melbourne, Vic, Australia, (). 27 September - 1 October, 2004. Khan, M., He, Q., Evans, G.M. and Nguyen, A.V. (2004). Entrainment behaviour of particles induced by a submerged rotary dum. In: CTAC 2004: 12th Biennial Computational Techniques and Applications Conference, Melbourne, Vic, Australia, (). 27 September - 1 October, 2004. Choo, T., Evans, G. M., Nguyen, A. V., Moghtaderi, B., Dennis, P. and Oliver, N. (2004). High rate drying beds for municipal wastewater sludge dewatering. In: P. Howlett, Enviro 04. Enviro 04, Sydney, Australia, (). 28 - 30 Mar 2004. Nalaskowski, J., Nguyen, A. V. and Miller, J. D. (2004). Hydrodynamic interaction between a gas-liquid interface and an AFM solid particle probe. In: SME Annual Meeting, Denver, Colorado, USA, (). 24 - 26 February 2004. Choo, T., Nguyen, A. V., Moghtaderi, B. and Evans, G.M. (2004). The influence of cationic polymer conditioning on wastewater sludge dewatering. In: Biosolids Specialty II Conference. Biosolids Specialty II Conference, Sydney, Australia, (). 2-3 Jun 2004. McCann, G., Nguyen, A., Wanless, E. and Evans, G. (2003). Atomic force microscopy study of particle-surface interaction in surfactant solutions. In: Proceedings of the 31st Australasian Chemical Engineering Conference: Chemeca 2003 Proceedings. 31st Australasian Chemical Engineering Conference: Chemeca 2003, Adelaide, (). 28 September – 1 October, 2003..
Nguyen, A. V., Harvey, P. A., Evans, G. M. and Jameson, G. J. (2003). Coal flotation in electrolyte solutions. In: L. Lorenzen, D. Bradshaw, C. Aldrich, J. Eksteen, M. Wright and E. Thom, Proceedings of the XXII International Mineral Processing Congress. XXII International Mineral Processing Congress, Cape Town, South Africa, (594-605). 28 September - 3 October 2003. Harvey, P. A., Nguyen, A. V., Jameson, G. J. and Evans, G. M. (2003). Influence of surfactants on foam stability. In: D. Nguyen, P. Ashman, K. Quast and N. Swain, Proceedings of the 31st Australasian Chemical Engineering Conference: Chemeca 2003 Proceedings. Chemeca 2003, Adelaide, Australia, (11-11). 28 Sep - 1 Oct, 2003. Phan, M. C., Nguyen, A. V. and Evans, G. M. (2003). Motion of Contact Line between a Small Air Bubble and a Solid Surface in Surfactant Solutions. In: D. Nguyen, P. Ashman, K. Quast and N. Swain, Proceedings of the 31st Australasian Chemical Engineering Conference: Chemeca 2003 Proceedings. Chemeca 2003, Adelaide, Australia, (11-11). 28 Sep - 1 Oct, 2003. Harvey, P. A., Nguyen, A. V. and Jameson, G. J. (2002). Influence of surfactants on liquid drainage in flotation froth and foam. In: 9th Asian Pacific Confederation of Chemical Engineering Congress (APCChE 2002) and 30th Australasian Chemical Engineering Conference (Chemeca 2002), Christchurch, New Zealand, (). 29 September - 3 October, 2002. Nguyen, A. V., Nalaskowski, J. and Miller, J. D. (2002). Measurements of bubble-particle interaction forces by atomic force microscopy. In: 9th Asian Pacific Confederation of Chemical Engineering Congress (APCChE 2002) and 30th Australasian Chemical Engineering Conference (Chemeca 2002), Christchurch, New Zealand, (). 29 September - 3 October, 2002. NguyenVan, A, Kmet, S and Schulze, HJ (1995). Collection events in flotation: The quantitative analysis of the particle-bubble collision and the attachment of particle onto bubble surface. In: Proceedings of the Xix International Mineral Processing Congress, Vol 3. XIX International Mineral Processing Congress on Leading Mineral Processing into the 21st-Century Through Advanced Technology, San Francisco Ca, (81-85). 1995. 5th International Conference on Gas–Liquid and Gas–Liquid–Solid Reactor Engineering, Melbourne, September 23–27, 2001 (2004) . Edited by Geoffrey Evans and Anh Nguyen. 5th International Conference on Gas–Liquid and Gas–Liquid–Solid Reactor Engineering, 23-27 September, 2001, Melbourne, Australia.